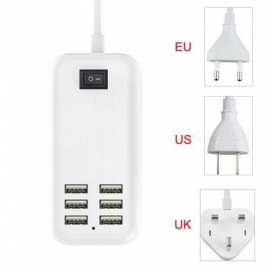 Provides standard USB 5V at up to 3A (max). 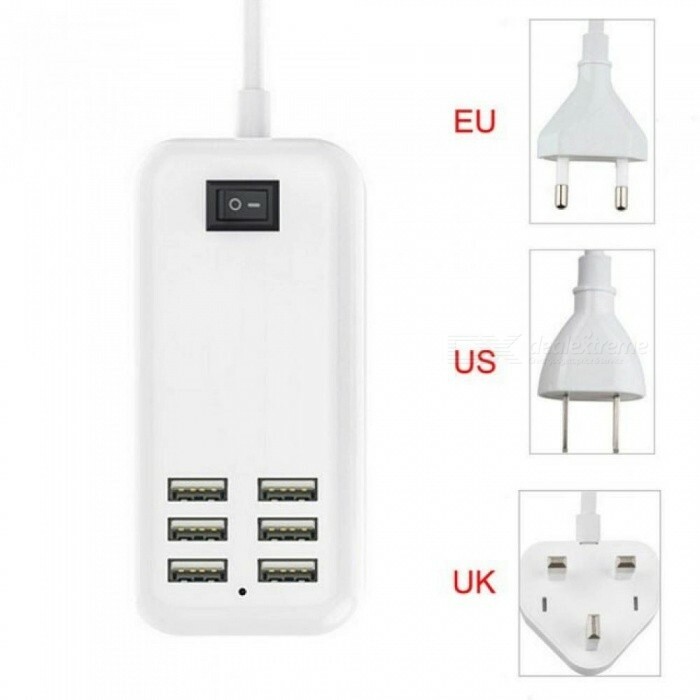 Suitable for home and office use, the cable line is long enough and the socket designed 6 ports, a practical travel tool,charging for more devices at the same time. With a independent switch, easy control, and a blue LED indicator. 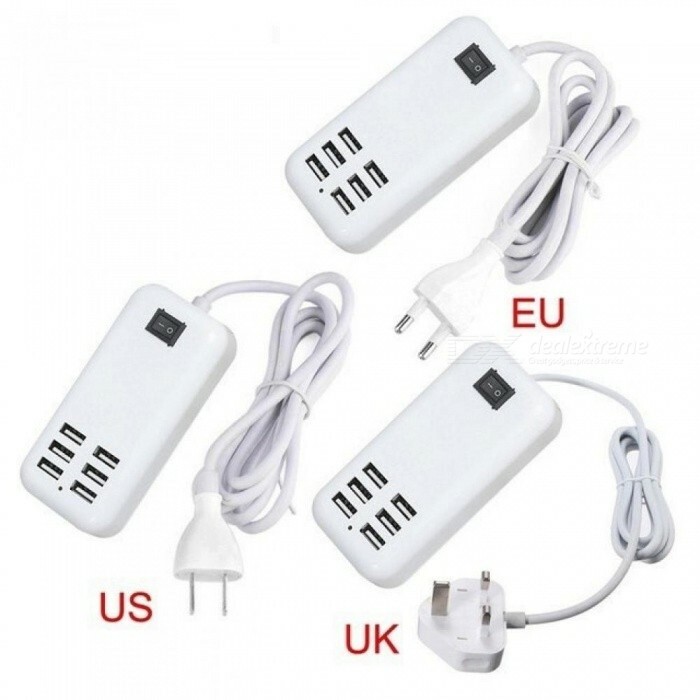 Compatible with iPhone, Samsung, HTC, LG, iPod and other smart phones.